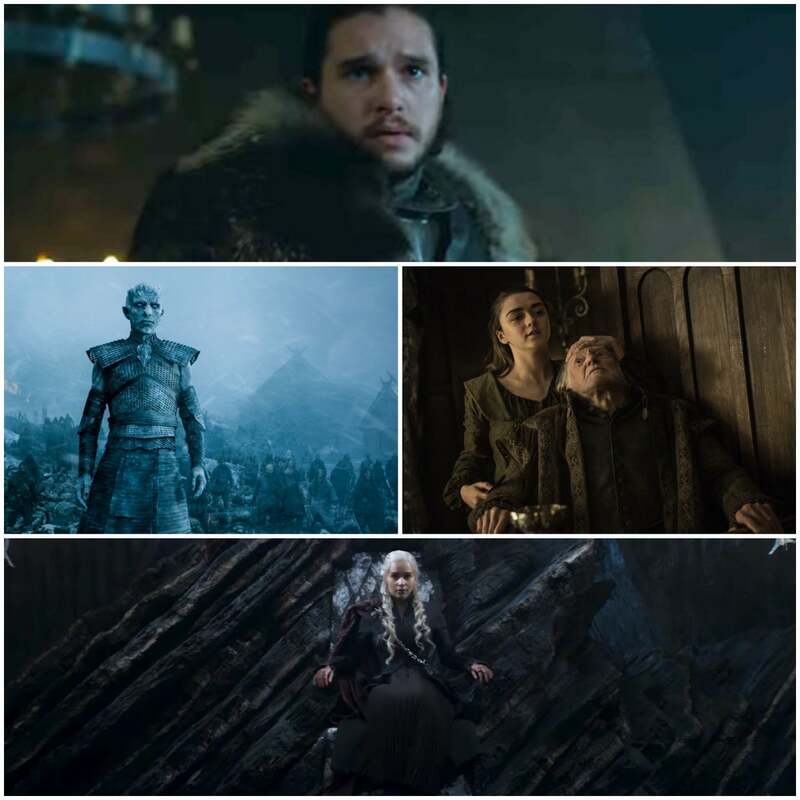 In the third installment of this four-part feature, the mighty have fallen, women are rising, Thrones mania rules the world and winter is finally here. Kit Harington, Jon Snow: The arc (of the story) comes full circle. (Jon Snow) has had all this learning experience. He’s lost love, he’s lost family members, he’s seen death, he’s seen supernatural forces, he’s been bombarded with everything. And it’s like- 'Enough. I know what I have to do now. I know what task is at hand and there’s nothing that's going to stop me!' And he’s a little out of his depth in that way. Sophie Turner, Sansa Stark: At this point Game of Thrones is no longer about a battle between the houses. It’s more of a battle between the alive and the dead. Emilia Clarke, Daenerys Targaryen: 'Winter is coming' (is) like global warming. You all worry about it and then suddenly it becomes real and that's exactly the world that we find ourselves in with Game of Thrones. Gwendoline Christie, Brienne of Tarth: There’s a kinship between Brienne and Arya. It’s been firmly established that they are kindred spirits. I certainly hope to see a lot more of that because I think it would be a very interesting relationship to see develop. Maisie Williams, Arya Stark: This is a very very different Arya to the one that I auditioned for years ago. And it's kind of scary because she's a favorite with a lot of fans for a particular reason and she's now exploring more sides to herself and – and surrounded by very different people. I wouldn't say that that original Arya is slipping away. She's just growing and it is very scary because people are a fan of that feisty side to her and maybe that's not quite so strong anymore. It's going to be interesting to see how people react and she is very different. Nicolaj Coster-Waldau, Jaimie Lannister: Jaime is in this new situation. He’s lost his hand, his family is vulnerable. He’s also growing older and having to take responsibility not just for himself but for his family. Lena Headey, Cersei Lannister: I met David Benioff) and Dan (Weiss) for the first time for Season 5 - the season we first spoke about the story of Cersei. From Season 1 to now, I knew this was coming. I looked forward to (Cersei’s punishment) so much because who doesn’t like to destroy something? Peter Dinklage, Tyrion Lannister: What interested me early in the show is change. Tyrion is changing. He’s really changing now. And the main reason is he’s in love. And that’s kryptonite in this world (of Game of Thrones). Everybody who loves dies. And that’s just horrible. 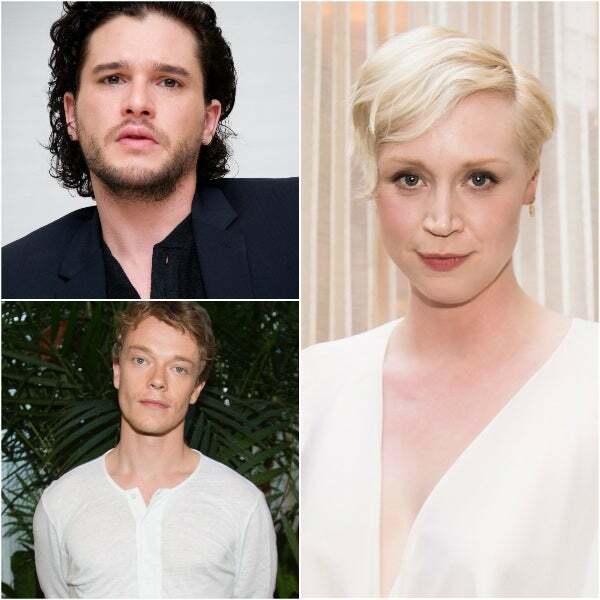 Charming warriors, clockwise from top left: Kit Harington, Gwendoline Christie and Alfie Allen. Alfie Allen, Theon Greyjoy: All through the series, I’ve been very worried about my character. I definitely had a time when I asked Dave and Dan constantly whether (Theon) was going to die or not and the results of that were... I got given a fake script, telling me I was going to die. It’s fine, they are pranksters them two, they love a prank. And so yeah, I was given the script that I get knocked over the head at the end of my scene and I could be dead and I could be alive, you just don’t know, so I didn’t know. But in the fake script, Bran comes out and stabs me in the heart and says,' this is my Winterfell not yours'. And Dan and Dave just give you the typical shrug. We are all constantly wondering and I have got a mortgage to pay. Peter Dinklage: I’m a fan of Dan and David. They are on set every day, and they fly home to LA for the kids' first day of school and fly right back, they are just relentless in their pursuit of perfection in the show. And they write almost every single episode now. They are just extraordinary and I don’t know how they do these scripts. I don’t know how they keep it so fresh, they just keep re-inventing. Alfie Allen: I love the books. I only read books 1 and 2 because at one point I felt that the show was kind of taking a life on of its own. I will definitely revisit (the books) later, they are fantastic, a great read and they are perfect for TV because there is just so much immense detail there. Sophie Turner: The first four seasons I think Sansa and I kind of mirrored each other. Sansa, the 13-year-old girl, idolizes someone like Joffrey because he is who he is, and I kind of have the same when I was 13 and I idolized people like Justin Bieber. But then I was thrown into this world of acting and I had no idea what any of it was about. But I haven’t had (Sansa's) butterfly moment yet. Gwendoline Christie: I love playing Brienne of Tarth. I love the creation of that character because she's very unlike female characters that we've had on television before in that she certainly isn't conventionally attractive. The reason that we fall in love with her is due to the choices she makes rather than the way that she looks. I'm more than thrilled to be playing that part because I think about generations of much younger people that are watching (Game of Thrones) and they see that character and it becomes an archetype, it becomes part of society. And then perhaps we'll have a more encompassing viewpoint and representation of women in modern culture. Kit Harington: I can’t say whether I have left (Jon Snow) behind just yet. He’s still with me. So yeah, I think whenever we do finish, whenever I finish, I don’t know how emotional it’s going to be, it’s going to be really strange. It’s been all of my 20s. And that’s kind of a remarkable thing. Nikolaj Coster-Waldau: I wish I could (keep my props and wardrobe). I think they want to make a museum, unfortunately. But I am still planning, I want to steal my hand. That’s a cool prop. Kit Harington: There is only one souvenir, and I said at the end of Season One, I said to David and Dan, I want my sword. And when this finishes, please let me have that sword. And they said yeah, yeah, of course. And as the seasons have gone on and the show has gotten more and more popular, the value of that sword has just gone up and up and up. (laughter) And I have suddenly gone, I don’t think I am getting that sword.